Fallen Forte has an updated Vegan colorway for the Holiday 2011 collection. Obsidian and Red. 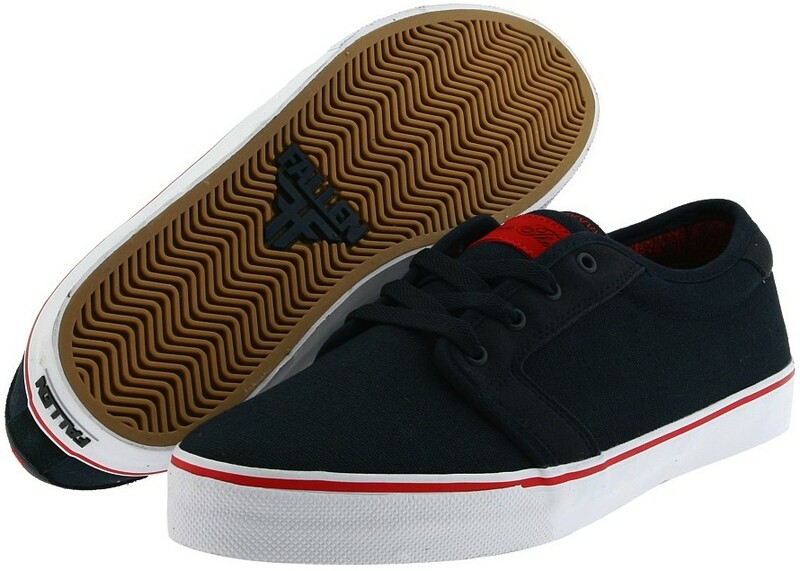 Classic silhouette low cut skate shoe. Canvas upper with synthetic suede around the lacing eyelets. Vulcanized soles and a nice bit of padding in the collar. I always thought Obsidian was a shade of black. These look a bit blueish. Honestly a nice color scheme. Also still in the Holiday 11 collection are the Fallen/Thunder collab we posted in August. These are waxed canvas and have some Thunder Trucks logos at the heal. If your looking for a deal, and don’t wear size 7-9s, then some Spring 11s are awaiting. How durable is waxed canvas compared to regular canvas? This is the coolest site ever. Thanks for keeping it real. If you were going to change my comment you could have at least kept my question in it. I really am curious as to how waxed canvas holds up compared to regular canvas. The site is very useful and I appreciate it but replacing my original comment with one of your own is not really keeping it “real”. As soon as I get an answer from the manufacture I’ll post it. Thanks for asking the question and commenting. Oops. So sorry. What are the odds of two vegan skaters named Nate commenting on the same day? Keep up the good work.